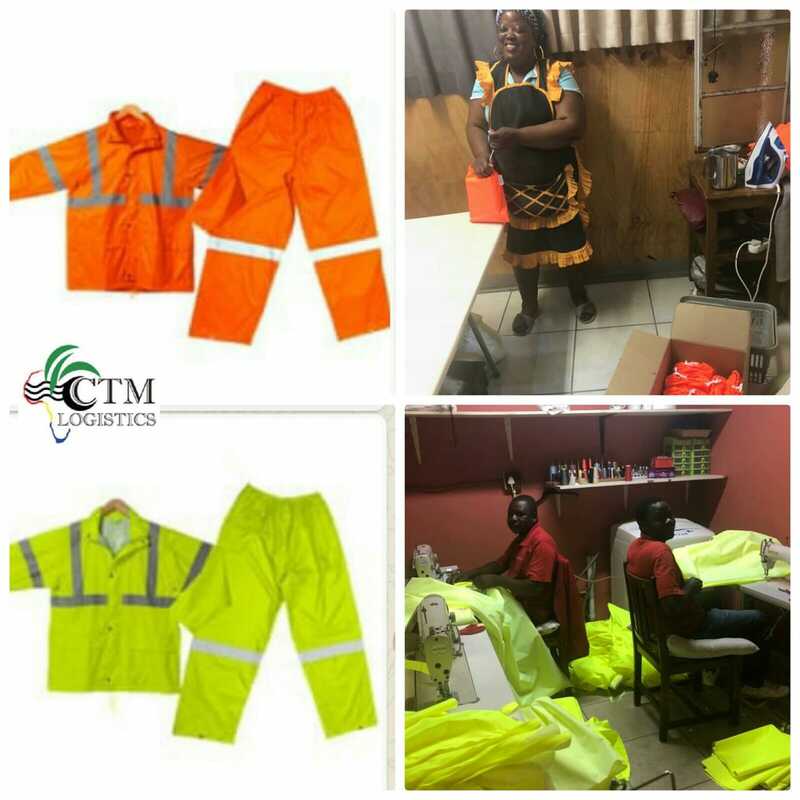 CTM also offer's Reflective Raincoat suits . 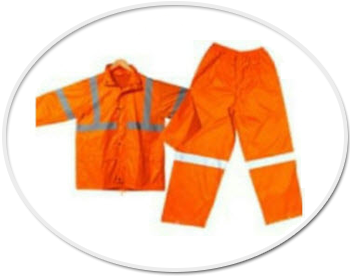 These can be great for construction, Security & Outdoor activities. 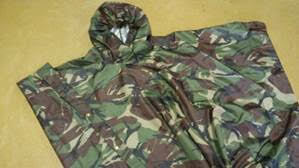 100% waterproof polyester, PVC coated fabric. Price per suit (2 piece) . The rainy season is here …. 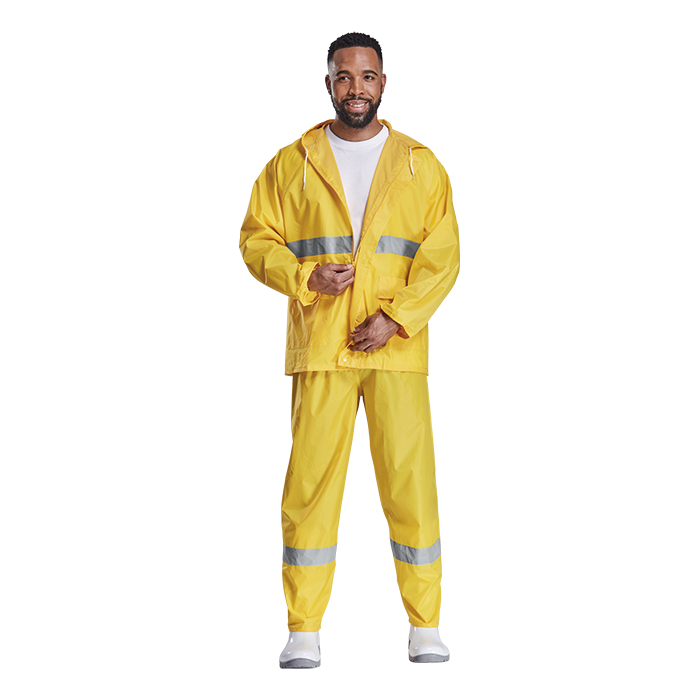 TWO PIECE RAIN SUITS WITH REFLECTIVE STRIPS: (Available in navy, orange and yellow).? 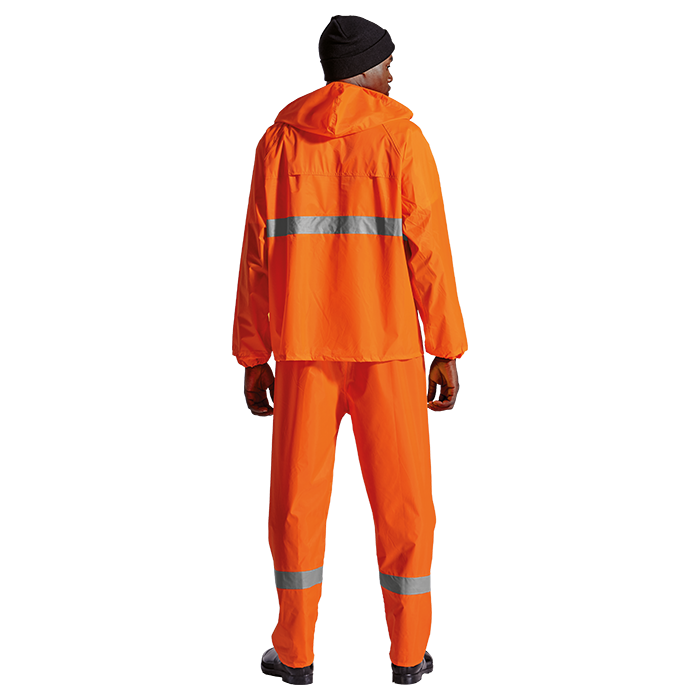 Available in navy blue, high visibility orange and yellow. 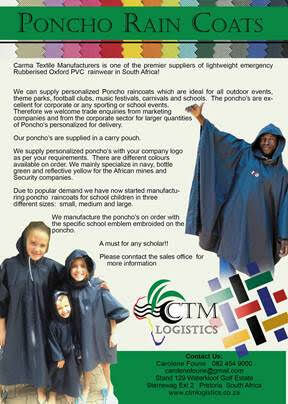 We supply Ponchos in 3 Options. Rubberised Taffeta. 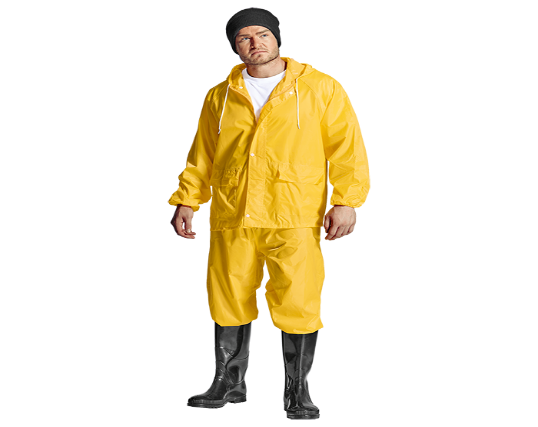 This material is a heavy duty, durable fabric and waterproof. Each poncho is packed in its own pouch of the same fabric with a drawstring. 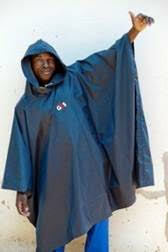 The poncho’s are handmade and of great quality and proudly South African. The size per poncho packaged when folded up is more or less 25 cm x 30 cm. 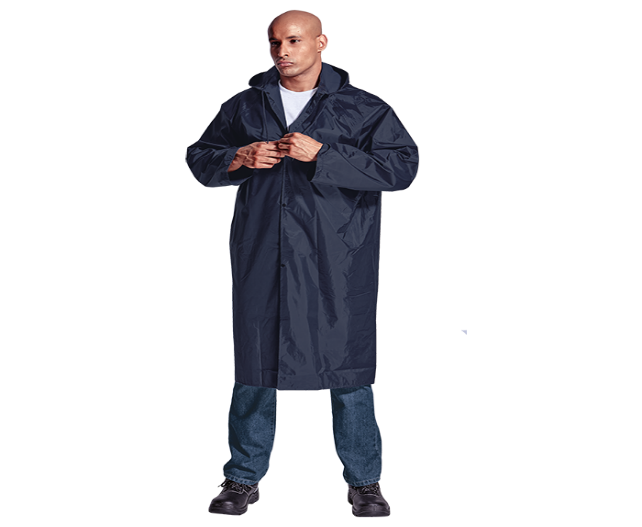 Waterproof Oxford poncho - woven 100% polyester fabric with strong durability. 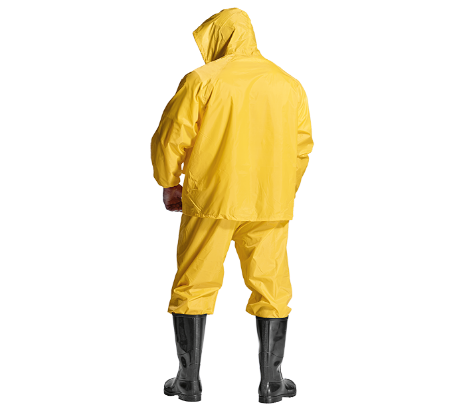 Alike to the Rubberised poncho, without the rubber lining thus being a lighter garment. The above poncho is available in various colors of your choice. 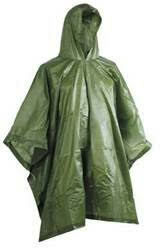 We do have a Royal Blue lighter PVC poncho available for adults . Only available in Royal Blue.